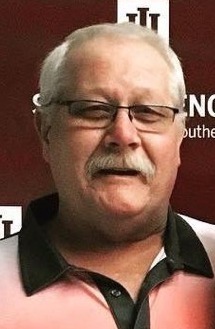 Timothy “Tim” R. Prince, 56, entered eternal life on Saturday, March 30, 2019 at U of L Hospital in Louisville. He was currently employed at Morgan Foods in Austin and was previously employed at ACBL/Jeff Boat for 30 years and the Courier Journal for 25 years. Tim was an avid outdoorsman and I.U. fan. He was preceded in death by his parents, Roy F. Prince, Sr., Audrey Prince, two sisters, Mary Kathleen Powell and Carol Banet. Surviving are Tonna Prince, Sellersburg, sons, Kaleb Prince, Sellersburg, Dustin (Jade) Horine, Corydon, daughter, Kayla Prince, Sellersburg, brother, Roy (Michelle) Prince, Jr., Frankfort, sisters, Debbie (Larry) Mullin, Sellersburg, Betty Schmidt, Floyds Knobs, Nancy (Robert) Jacobi, Galena, brother-in-law, Ronnie Banet, Memphis, grandchildren, Kenzie and Haylee Horine, a host of nieces and nephews and beloved dog, Roxy. A funeral service will be held 10AM Thursday at the Garr Funeral Home in Sellersburg with burial to follow at Graceland Memorial Park in New Albany. Visitation will be Wednesday from 1-8PM and anytime after 9 AM until the time of service on Thursday. Online condolences can be made at www.garrfuneralservices.com.